Rare Bird Books, a Barnacle Book, 9781940207179, 478pp. Efram gets kicked out of every school in the known universe. Molly is raised in total isolation by survivalists. Steven grows up globetrotting with his ex-spy father. Chloe rules three thousand students with an iron fist. A frenetic journey through contemporary youth culture, Echo of the Boom follows the lives of these four characters as their narratives orbit and intertwine. They wage personal wars, grapple for power, and attempt to understand their roles in the future of society--or their destiny in hastening its destruction. The result is a mesmerizing collection of triumphs and calamities, a chronicle brimming with the language of music, social networking, and video games. 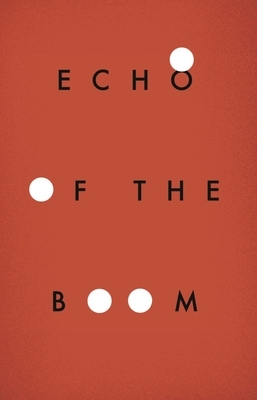 Equal parts Gossip Girl and Gravity's Rainbow, Echo of the Boom is a generation defining novel, a new kind of literature explicitly suited to the twenty-first century.